Introducing a new class... the Ranger! Now you can can tame monsters and turn them into steeds! Levels! Make the GM laugh! Make him snort soda out his nose! Or 'Kill the Conversation' for a level! It's time you were De-Ranged. All the munchkin-ism of a prestige class, with none of that annoying roleplaying stuff! 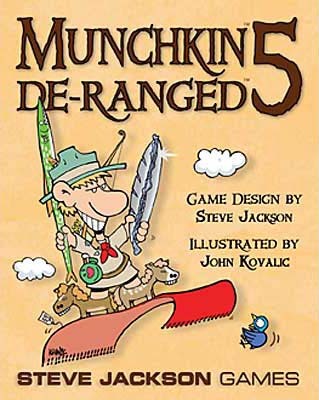 **Requires base Munchkin to play.